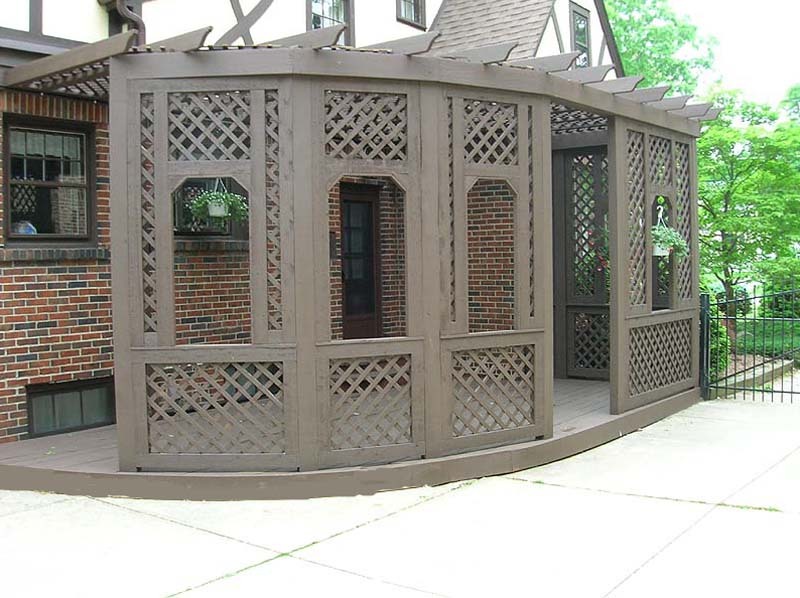 The above 4" diagonal lattice pergola is quite unique in its design. All of our pergolas are custom, and can be built in any height. The diagonal lattice and framework are constructed of Northern White Cedar, and the posts are treated MicroPro posts. The size of the diamon is completely flexible. We are happy to make it larger or smaller depending on our client's needs.